How is art both distinct and different from the rest of human life, while also mattering in and for it? This central yet overlooked question in contemporary philosophy of art is at the heart of Georg Bertram's new aesthetic. Drawing on the resources of diverse philosophical traditions - analytic philosophy, French philosophy, and German post-Kantian philosophy - his book offers a systematic account of art as a human practice. One that remains connected to the whole of life. 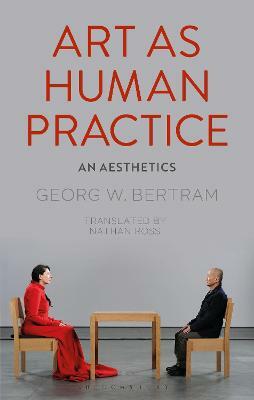 Buy Art as Human Practice: An Aesthetics by Georg W. Bertram from Australia's Online Independent Bookstore, Boomerang Books.